Delayed by photobucket being down yesterday. Here’s a cloth of figures I’ve done ahead of FrostFayre 2017 tomorrow. Some more skeletons, with 7 players and ~20 treasures, they’re bound to be used. 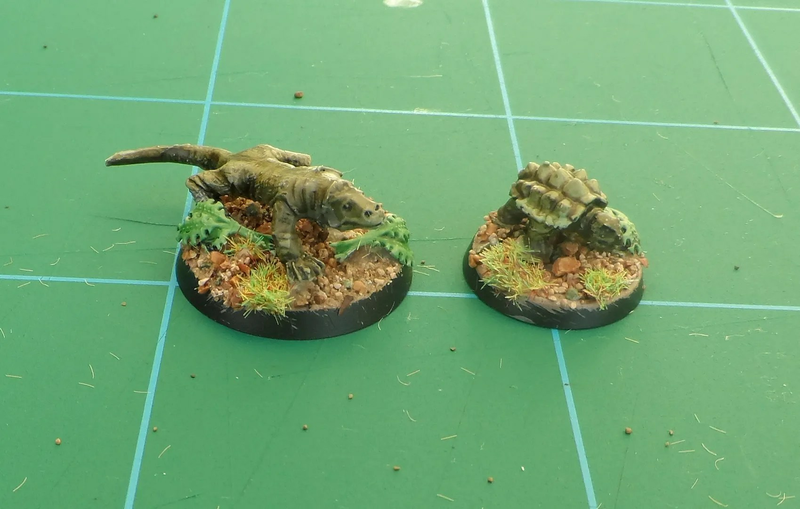 Giant lizard and snapping turtle for Ghost Archipelago. They were knocking around and so I thought I’d paint them before they end up at the bottom of a box somewhere, lost. Finally, a clutch of eggs, with two hatching. 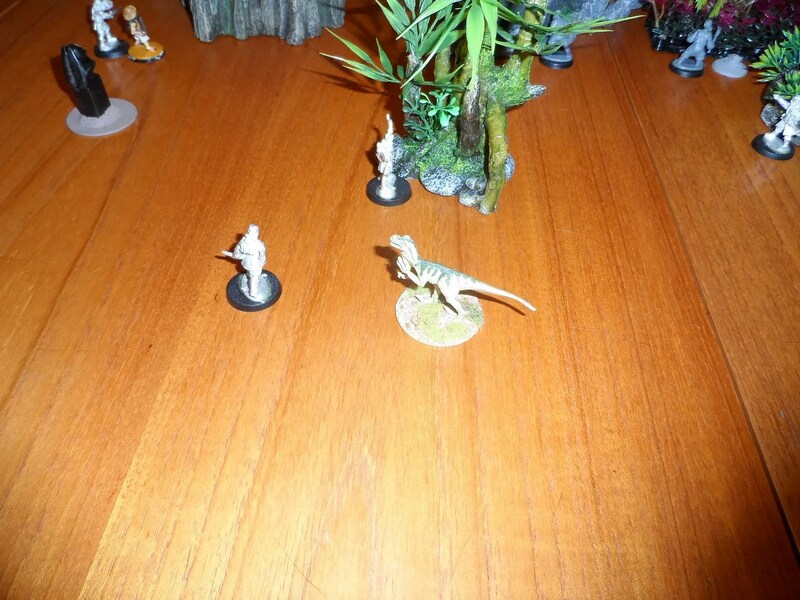 IIRC, they originally came with the Terror Bird that Copplestone did, guess I will have to paint my mummy and daddy next. 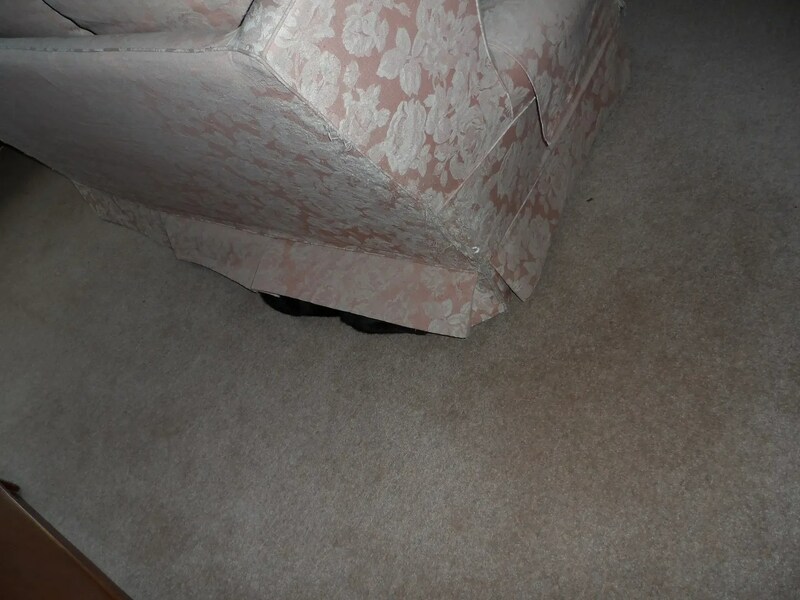 BlackJack, showing how not to hide. Typically, I only have two 2×4′ boards with me, so now I have 7 players for the 29th FrostFayre gaming session, I had to get extra boards. 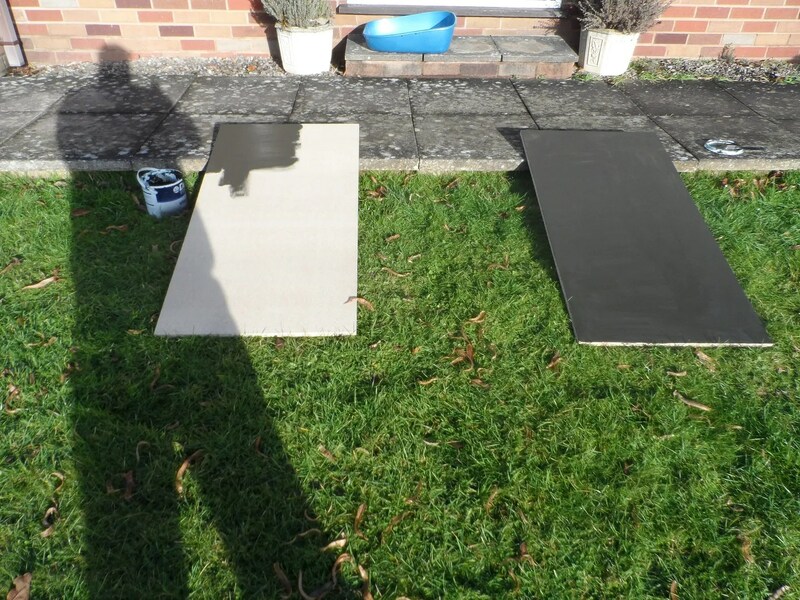 After the car was fixed from the garage, B&Q beckoned, and I got two more 2×4′ boards. Given the sunny weather and no sign of rain, I painted them. 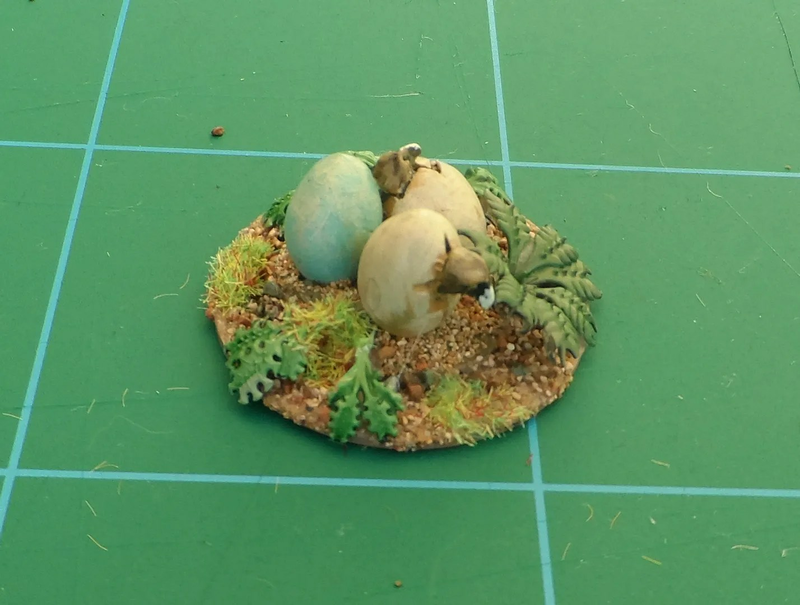 I have managed to keep my special paint pots out of storage, so the paint I use for my scenery pieces, is the same as the stuff I have to paint the boards, (LHS) which was intentional. 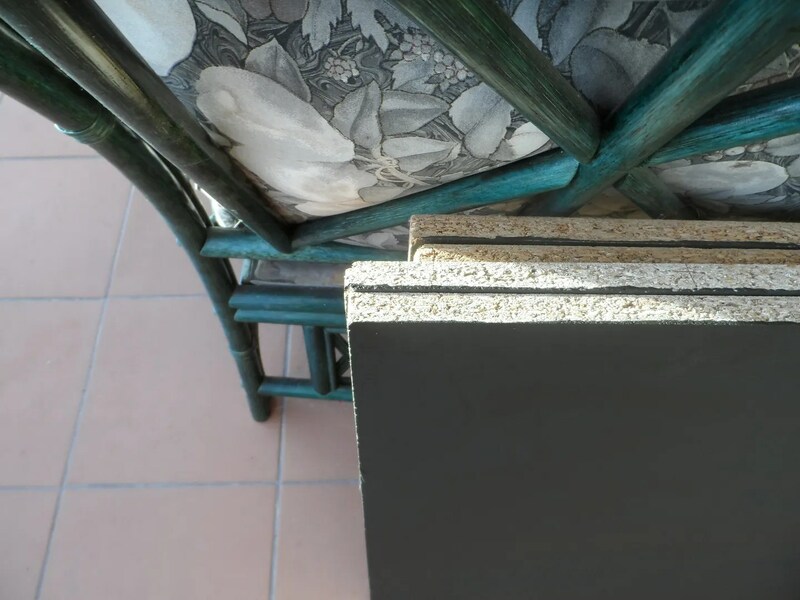 In the strong sunlight the emulsion paint dried quickly. 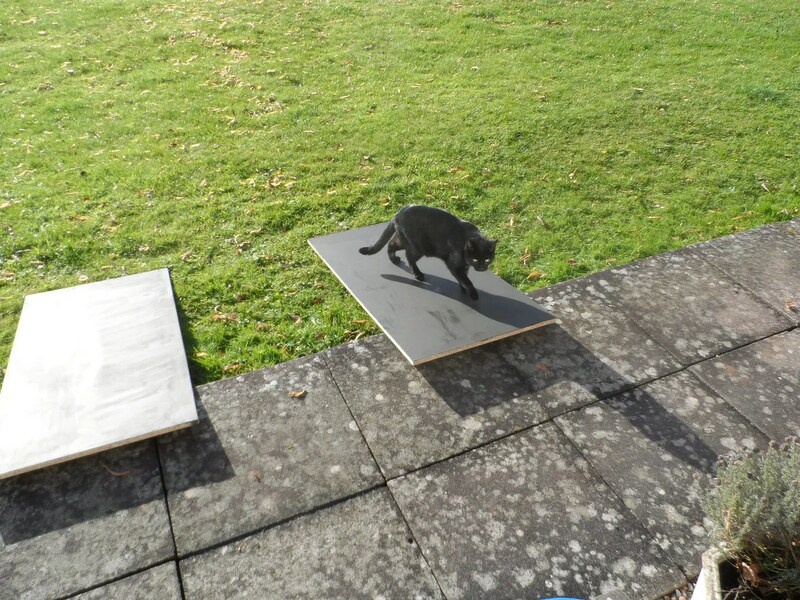 Just as well, because within an hour all three cats had used these exciting new especially installed cat ramps to come up from the lawn on to the patio. I am NOT going to buy yet another two boards, when I have other boards the same size in storage ! Just goes to show how even mundane items change and you can’t rely on suppliers to be consistent. Right well I had the first game and then followed it up with the after game rolls. Reading through the potential outcomes was very interesting. If you lose your specialists, your Warden or Heritor, a trip to the Mainland is required to replace them. If you want to sell stuff, ditto. But that’ll cost you 200GC straight off. So you are going to be saving up for that trip, and you’ll have to have even more money/items for when you get there. There’s only five treasure counters in the standard GA game. One less than FG. One has to be placed centrally, which overcomes one complaint I have heard about FG and players being a bit too beardy. But what you get is a step down from FG. So my Heritor Vicky, got a grand total of 60GC from her 3 treasures, and the opponent 105GC. This means that going to the Mainland is going to be some time – probably every 5 games or so. During that time accidents happen ! Sio you’re going to have to be very careful about using your crew as “meat shields” as the specialists won’t be easily replaceable. Ditto kitting out your crew as you won’t be able to get the fun stuff often. Similarly, as the ship can only be upgraded back at the Mainland ! Another series of challenges that are very different and makes GA a very different beast to FG. As commented in my previous post, playing a game is much better than reading the book. So I sat down and did the second war band randomly rolling the Heritor’s abilities. By happenstance, the abilities meshed well (Fling; Crushing Blow; Steelheart; and Deathstrike) and it was obvious he was a combat specialist and I chose a model accordingly. 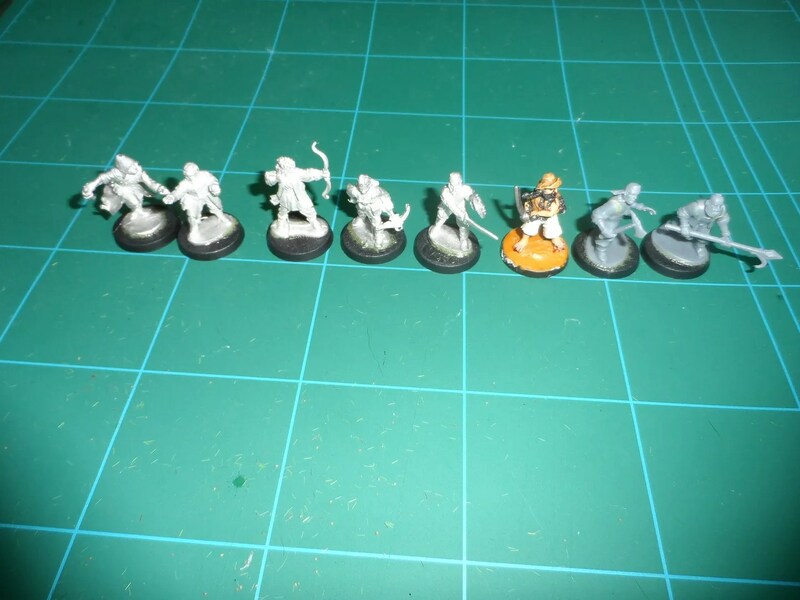 L-R: Heritor; Warden; Archer; Crossbowman; Freebooter; Tombrobber; and 2 Crewmen. 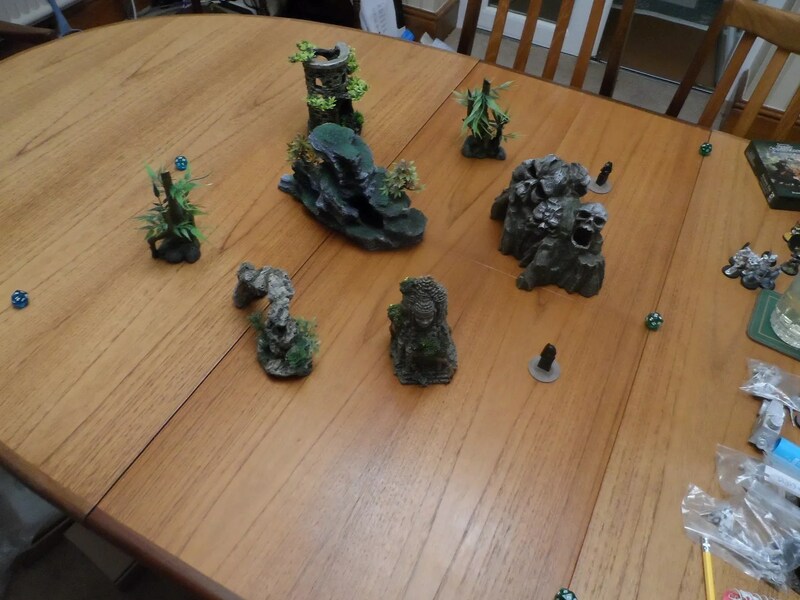 Warning, here follows more pictures of lots of naked land and plastic models on a poorly presented table, warmers of a nervous disposition should sit down and or avert their eyes. So with two war bands written up, I went for a simple head to head. I’ll keep this brief as it was a solo effort, and the models/scenery aren’t all that good, but it’ll give the reader an idea of what went on. 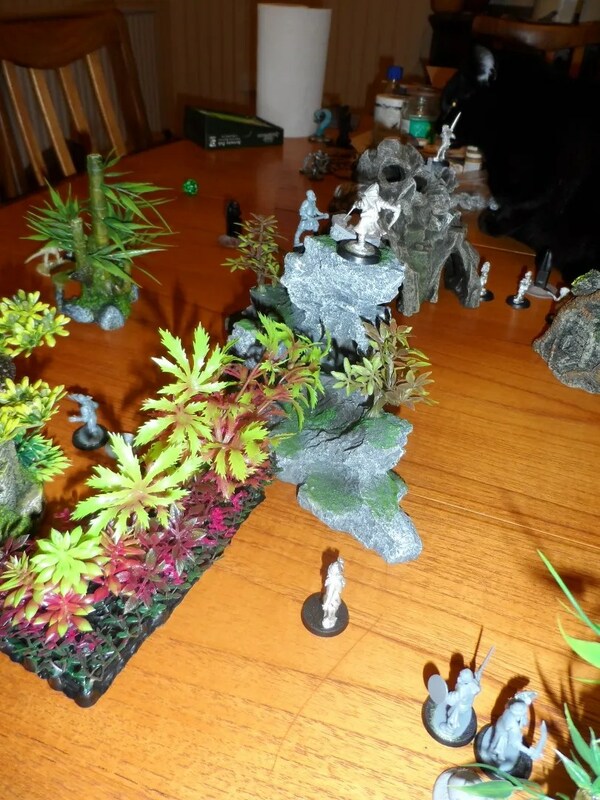 With only 8 models in the war band, set up becomes a bit more tactical. If you want the central treasure which gives the most XP, you have to be careful. If you want sheer numbers of treasure, that’s a different tactic. NB: As per previous updated post, you can have another couple of crew ! See 20. 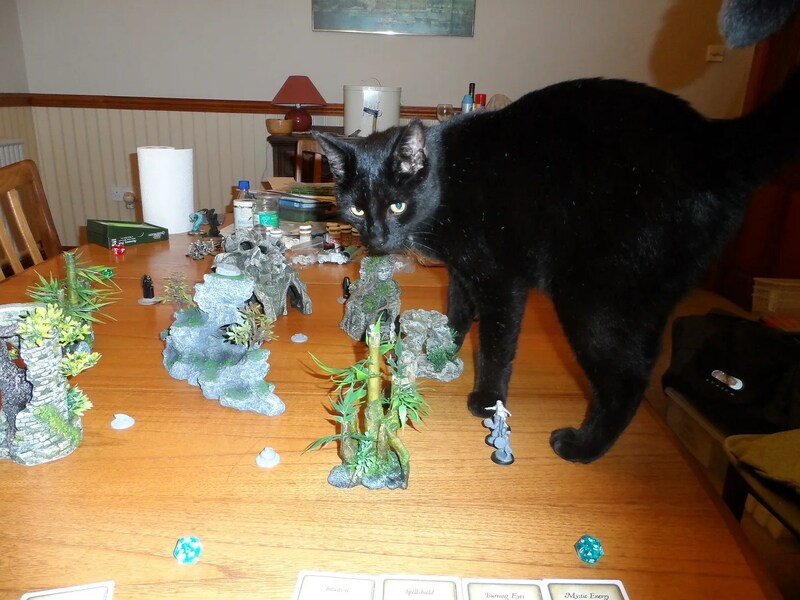 Now I know why the GA Accessory Pack includes that dice. I used my Heritor’s “Spell Shield” ability in turn one. 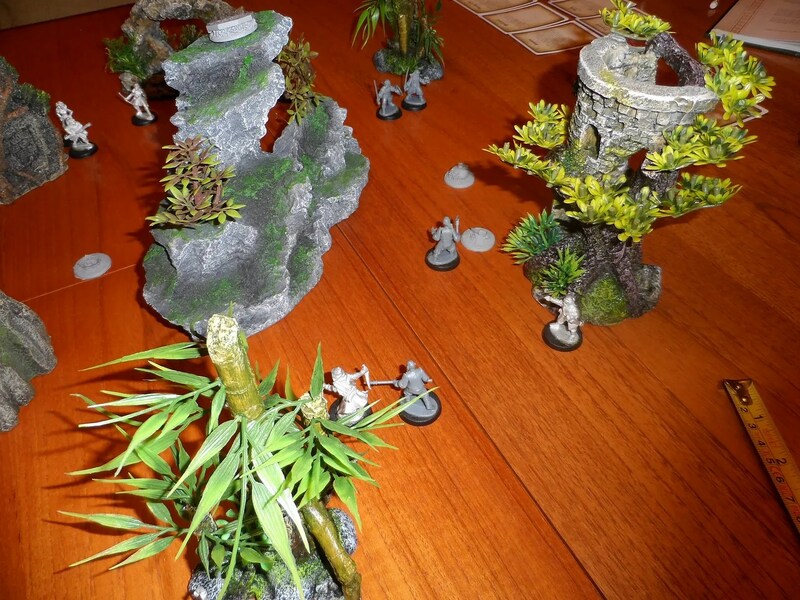 Earth wave, used by my “opponent” to shift a treasure closer to their forces, similar to telekinesis but not as good. As others have comment, whilst the casting value of spells is lower in GA, so are the effects. Brambles – similar to Wall or Fog. As cast by my Vine Warden. 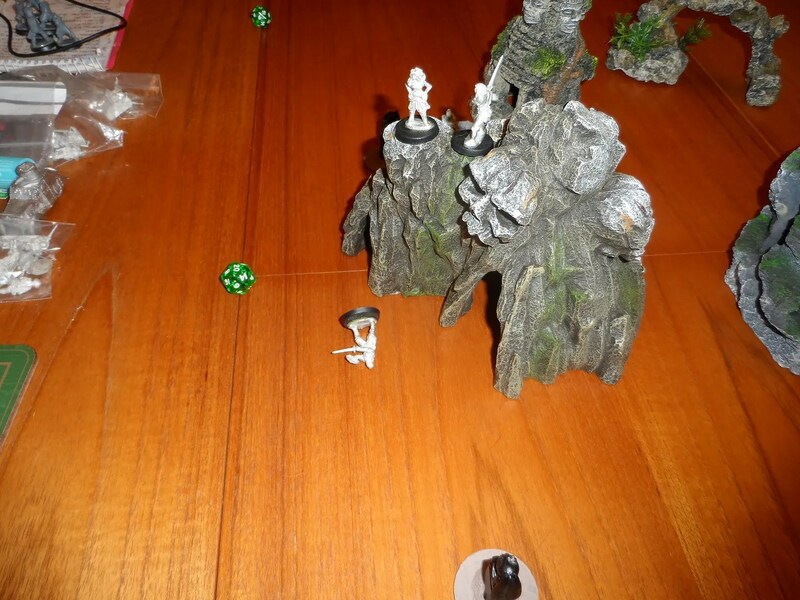 The opposing Heritor gets to the top and claims the treasure, at the same time as my Savage does on the other pile of rocks. 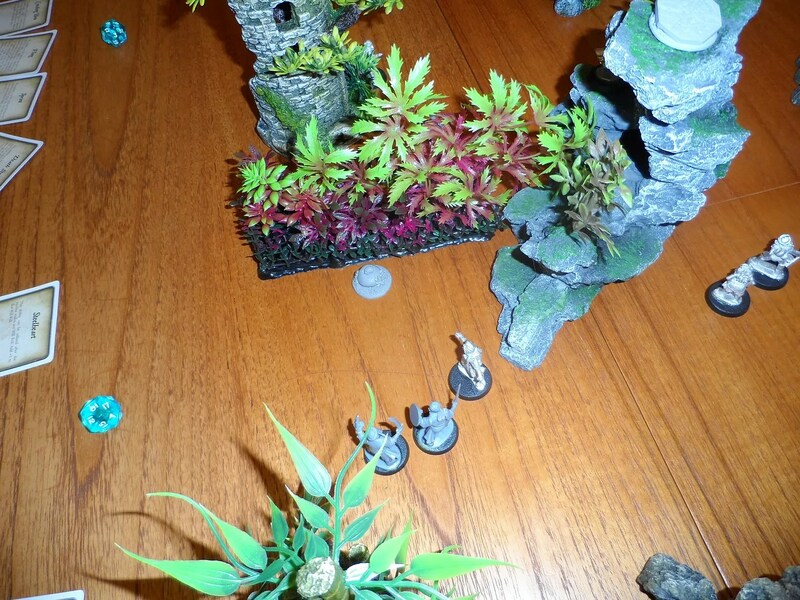 And is joined by “my” Heritor, Vicky, who trashes the enemy Mercenary. 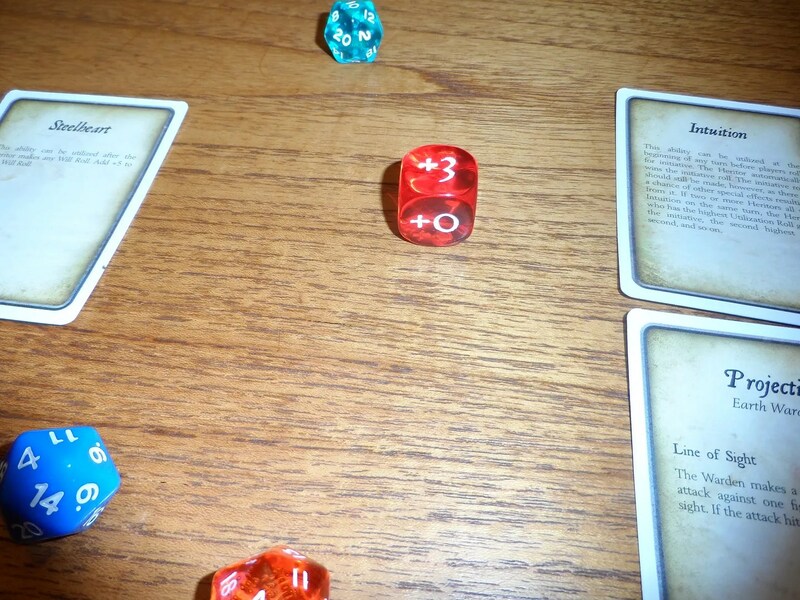 End of the game – I had 3 treasures including the central treasure, and the opponent had two. One model down and needing to roll on the recovery chart. Having embarked on my project to paint more figures especially the C)4 Thieves, I found, or rather didn’t find the paints I wanted. Having hurriedly packed them, they were all over the place, and I got fed up of trying to find the right colour only to find I had three pots of the same shade, but not the base or highlight. 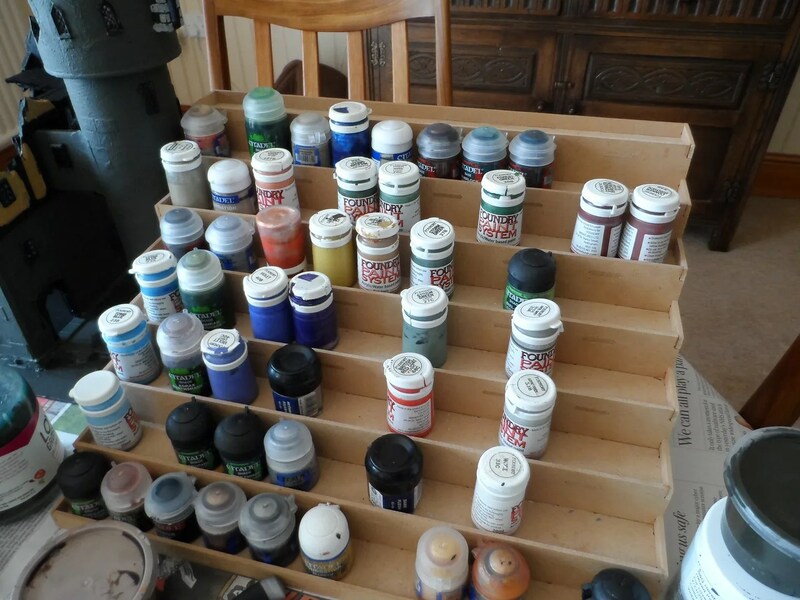 This is about 1/2 of the paints I have, and I’m sorting through. They’re the Foundry paint system which is excellent. More paints on MDF shelving unit. As well as Foundry I use some various GW/Citadel paints to bulk out the system, mostly for foundation paints, washes and metallics as they have a larger range. 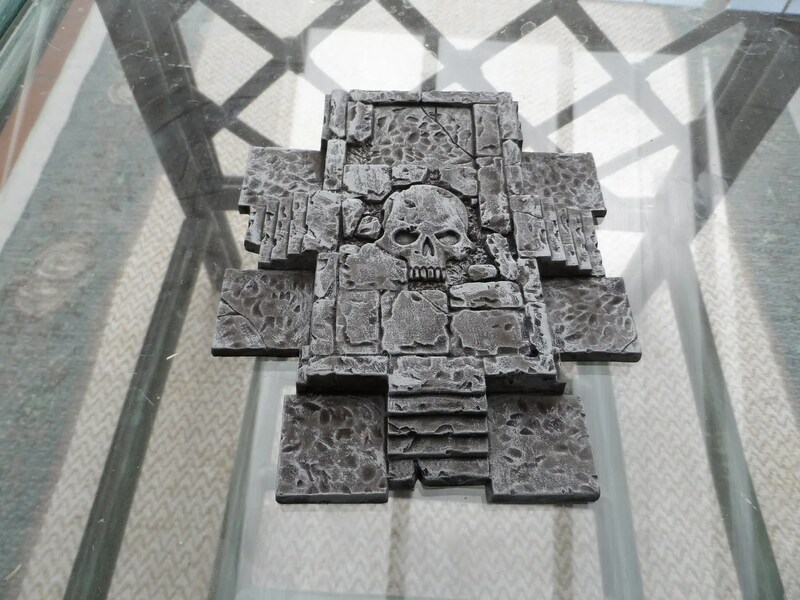 Plus with stuff like Agrax Earthshade I can pick up a load in one go for scenery projects. 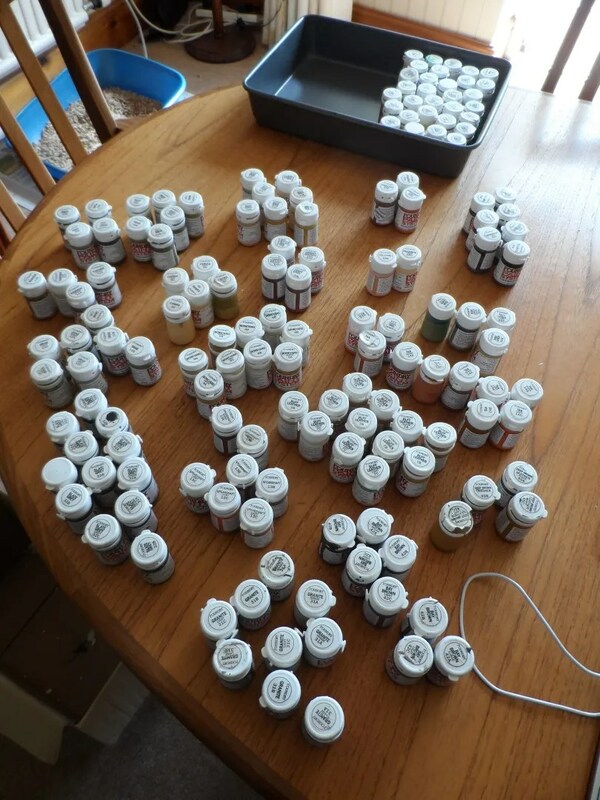 So I’m now doing an audit, ditching the dried (or nearly dried) out pots of paint and working out what ones to store for later use, ones to pass on to mates, or which ones I need to buy. Looks like flesh tones are the order I’ll need to put in. Still not able to find a range that does metallic colours (blue, green, purple etc), I had been pointed at Coat’d’arms but they no longer do them, so it looks like the Blanitsu style of the tomb palette on an ad-hoc basis. 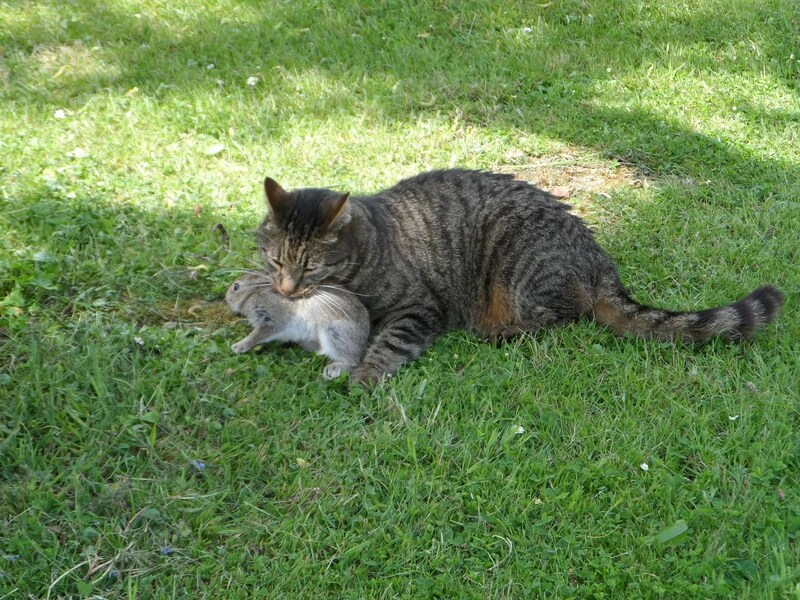 <y parents' had visitors and went out for the day, leaving me in charge, so Humphrey their cat decided to use this opportunity to bring home his second rabbit in a year, and let it loose in the kitchen. 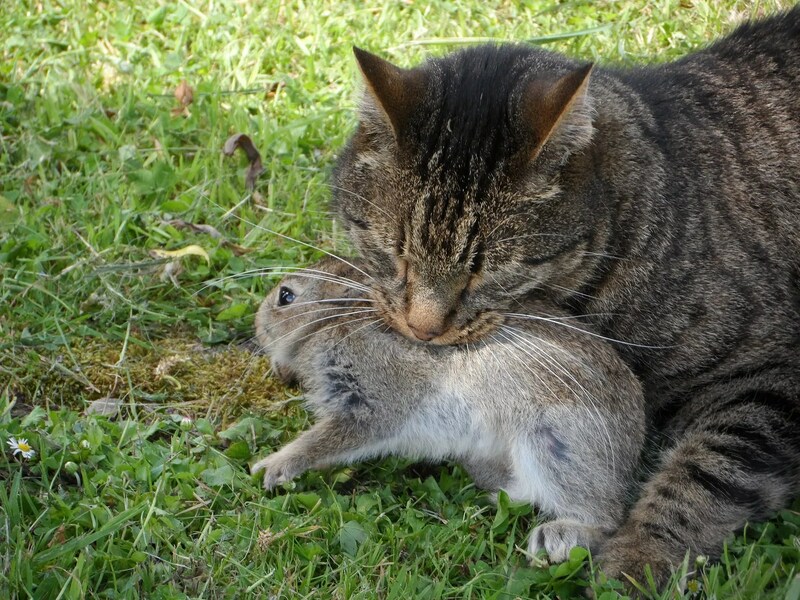 I helped him recapture the live rabbit, and expelled them from the house, where he promptly hid under the trees in the garden and devoured the bunny. He turned up at 10pm, stretched out a VERY LARGE BUNNY TUMMY, and refused to move, or eat any food until this afternoon. That’s the important bit done with. 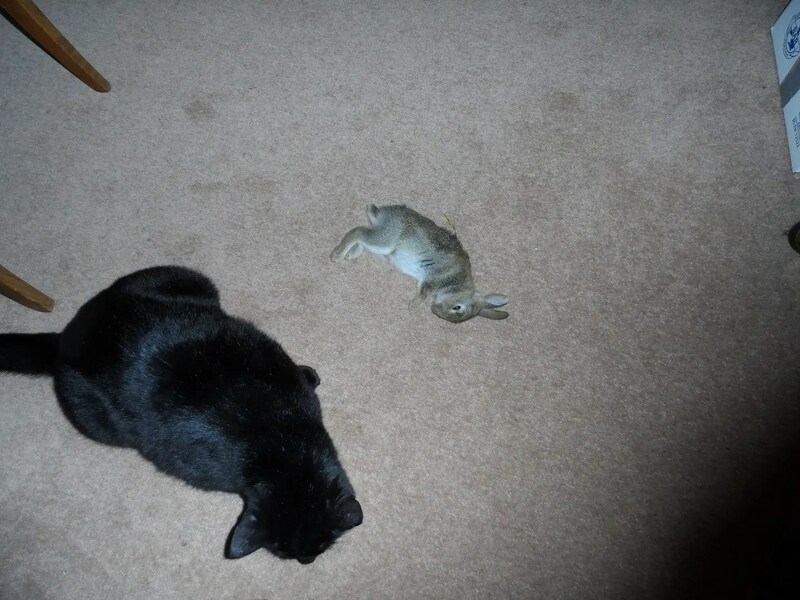 six weeks in to their sojourn here, and BlackJack has brought back his first Rabbit. 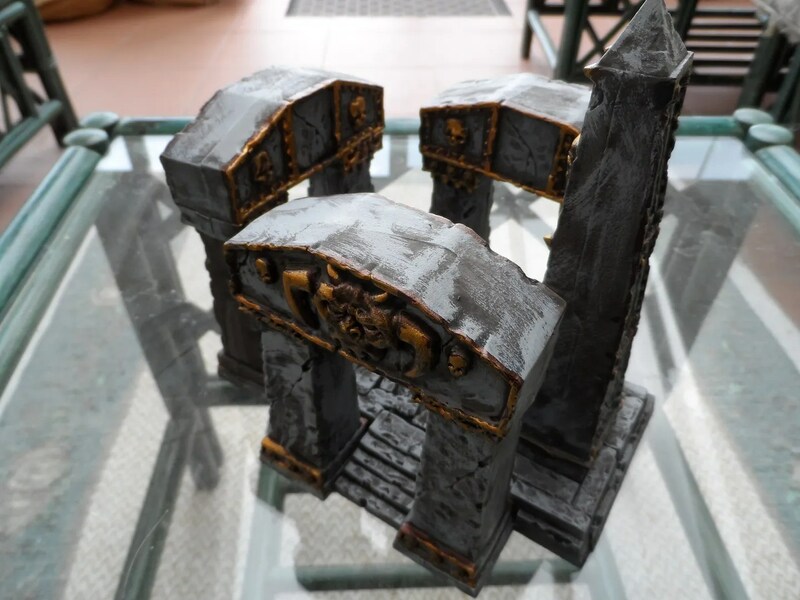 All that Agrax Earthshade is going somewhere, and its mostly scenery. 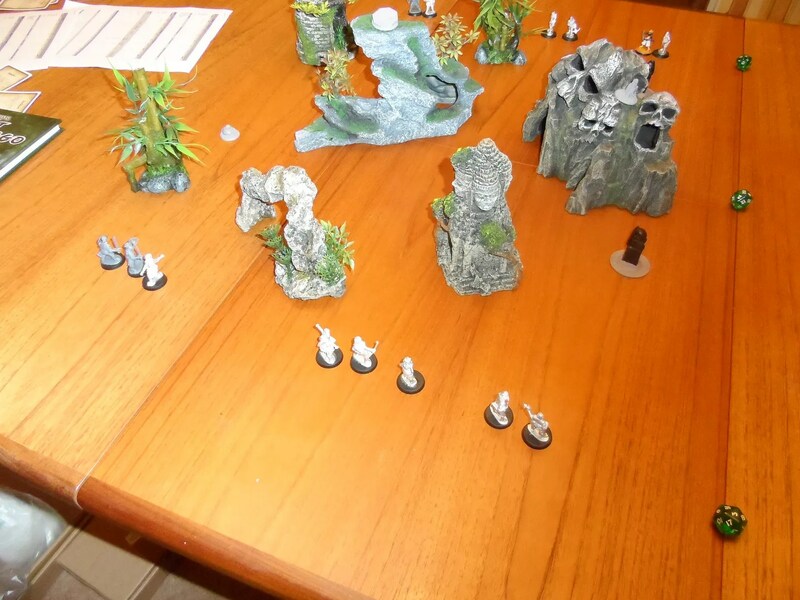 One of the items I brought with me was a pile of assembled and undercoated Arcane Ruins by GW. The kit is actually quite versatile and you get ruined versions of the uprights. 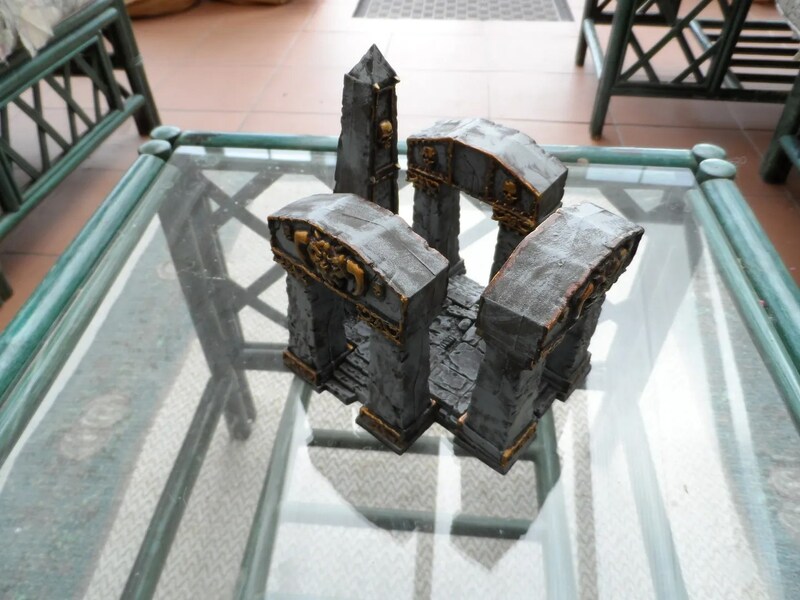 There’s three telethons, a single pylons and the base. 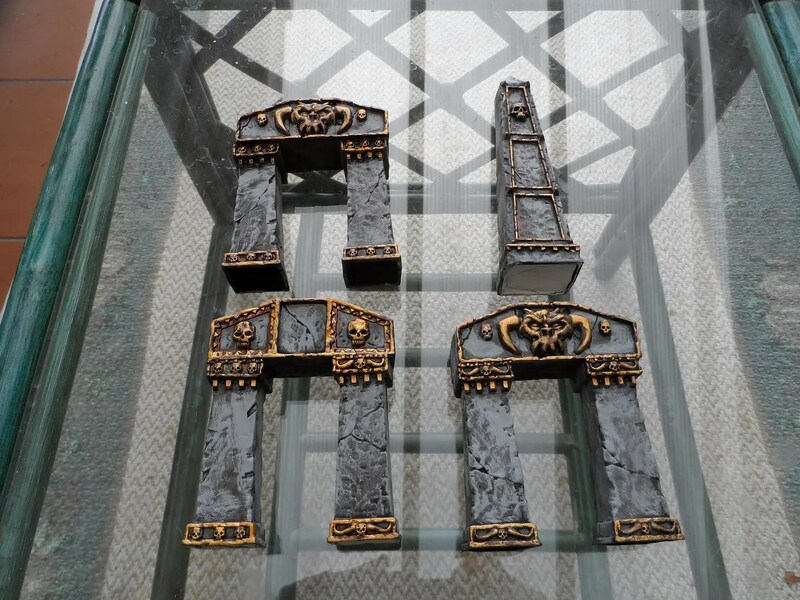 I painted them all in Foundry Slate Grey, with various brasses by GW for the details. I’ve got another set on order so I’ll photo that at the w/e, with all the pieces. I’ve kept the pieces separate to allow access to the inside. 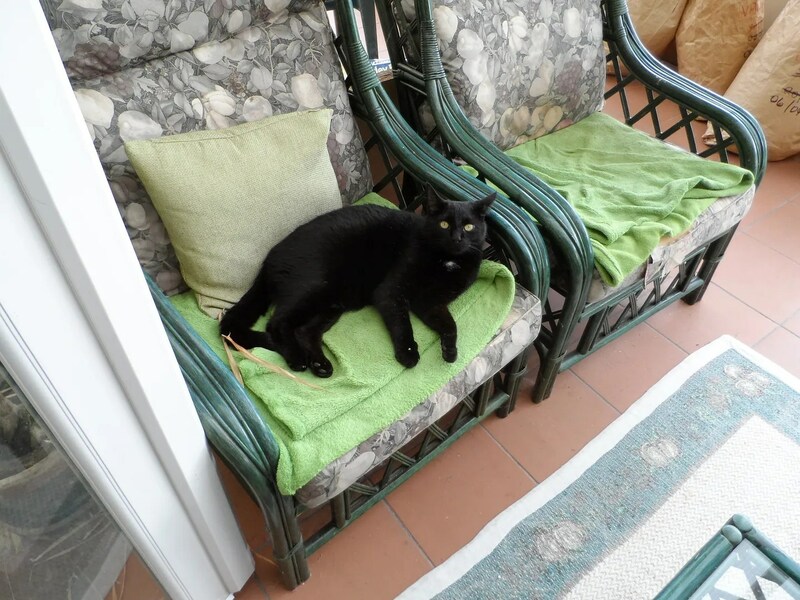 One was unimpressed, viewing it from one’s latest throne !